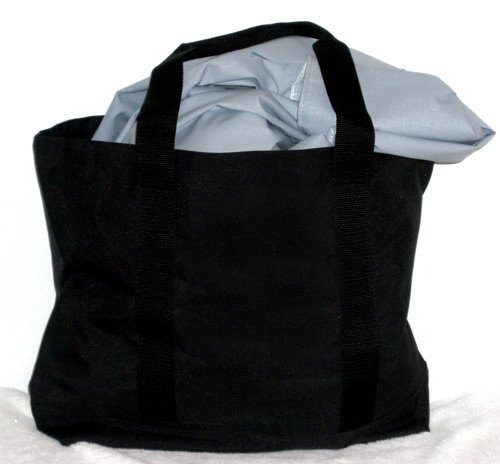 Drawstring: 18"x30" Black nylon protective backdrop bag with grommetted drawstring closure. Will accommodate 2-3 (10x10') small backdrops, or 1 very large (12'x30'). Don't go on-location without one! (backdrop not included). Custom sizes available. Handled: 19"w x 16" H gussetted bottom, handled backdrop/gear all-black. Weatherproof heavy denier fabric, will hold several small or one large backdrop.